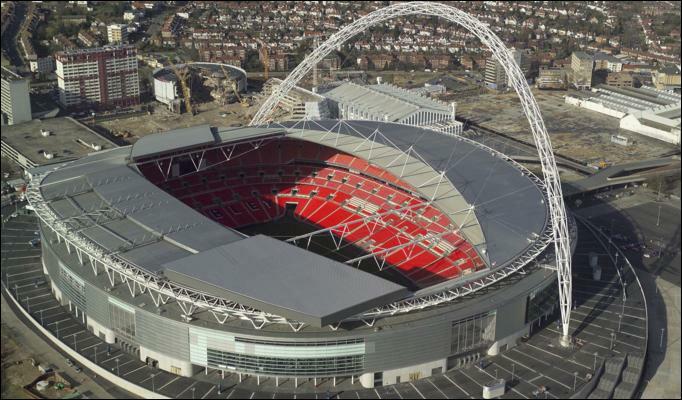 As we turn our attention to Wembley, will anyone be fit to play defense? Today’s blog entry could have been about the Villareal game. It’s always nice to relive a big result. It could have been an early preview of the Chelsea FA Cup semi-final. There’s plenty to discuss before the next big test. I even could have devoted this blog entry to celebrating what we’ve accomplished this season after meager beginnings. But instead of writing about any of that, I’m forced to write about an injury crisis. Imagine that. All I can say is that we better not suffer a single injury next season because we’ve had enough this season to last us for years. I spent so much time during the international break getting excited about our return to “full fitness”that I never really contemplated the idea that we could lose other players to injury. Right now Arsene Wenger would surely sacrifice his embarrassment of attacking riches for one more fit defender. I want you to sit down for this next part. 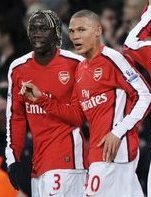 Based on the boss’ early predictions, we could start a back four of Eboue, Song, Toure and Silvestre for Saturday’s massive Cup semi-final against our London rivals. It’s not that they’re bad players really, it just that they’ve never played together as a unit and three of them are essentially playing out of position. Furthermore, it’s a shame to see Song moved out of midfield given his current run of form. Arsene Wenger may be inclined to play a conservative lineup to protect his makeshift back line, but Wednesday night should have proved to everyone familiar with Arsenal, that we are best served by playing aggressively and trying to put Chelsea on the back foot. Their defense hasn’t exactly been vintage of late. They’ve shipped eight goals in two games and Petr Cech has been simply shocking. The most interesting subplot of Saturday’s game might be Theo Walcott going head to head with Cashley Cole. I personally hope Theo runs that little twit waist deep into the Wembley pitch. As interesting as the Walcott-Cole matchup will be, the most important contest could be the one between Didier Drogba and our pot luck central defense. We have struggled to contain the power of Drogba at the best of times and his brace last season to overturn a 1-0 deficit for Chelsea still burns in my memory. He has rediscovered his form during Gus Hiddinks reigns and he promises to pose the kind of powerful challenge to our defense that Villareal lacked. They were a slick passing team, but never gave us the physical challenge that sometimes finds us wanting. We must be especially vigilant on set pieces Saturday. Wenger will be looking to bring Arshavin into the lineup and he certainly brings a quality to our play that Chelsea have yet to encounter. I’m still waiting to see his partnership with Cesc develop fully. It’s been stunted by the 4-2-3-1 formation that Wenger has used in Andrei’s first two matches alongside Fabregas. I doubt that we’ll see the same formation on Saturday given the quality of our play in the 4-4-2 against Villareal. But in order to bring Arshavin into the lineup, someone must take a seat on the subs bench. It’s anyone’s guess who that might be. If Song shifts to central defense, then Diaby would likely come into the center of midfield. Theo must start after his performance in midweek. So it’s really down to Nasri or Van Persie. Call me crazy but I would leave Robin out. I’d love to see Arshavin play right behind Adebayor. From that position he could link up with Cesc the way Hleb used to, but with a greater threat to score. That would leave Nasri on the left. I’m not sure too many people would agree with that decision, but Arshavin looks almost unstoppable when he drifts into those central positions. I’d love to see him have the chance to start there. The two big intangibles in this match are in our favor. Chelsea’s defense has been given a torrid time in consecutive games. Between that and their ‘keeper’s atrocious form, they will certainly have some doubt in the back of their mind about keeping our attack at bay. But even more importantly, Chelsea are still recovering from one of the greatest, most breathless, nerve-wracking games in European history. Sometimes when a team plays in a game like that, it can be very difficult to come out with the proper focus and intensity in the following game. That’s true in any sport, but particularly in football. If we come out of the gate strong, we might be able to gain an early advantage if Chelsea have a Champions League hangover. One final note about our injury woes. 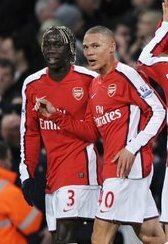 You have to feel very sorry for players like Djourou, Gibbs, Clichy and Sagna. These are young players who may miss the opportunity to play at Wembley and in the Champions League semi-final. As a player, you live for the chance to start big games like that and it must be a bitter disappointment, particularly for Gibbs and Djourou, that they might miss both chances. Perhaps we will get a surprise with some good news tomorrow, but I certainly won’t be holding out any hope considering our season so far. Friday night I’ll provide an FA Cup semi-final preview and we can all start rebuilding our nervous energy for another massive match.